Is my Kasikorn bank account still open since I left the country for almost 2 years with my Wife to France? You have Thai wife and You post a question on ThaiVisa. I sure do a lot. You think a Thai wife is all knowing about Thai things? Are you all knowing about your home country (or Thailand) things...like banking policies? 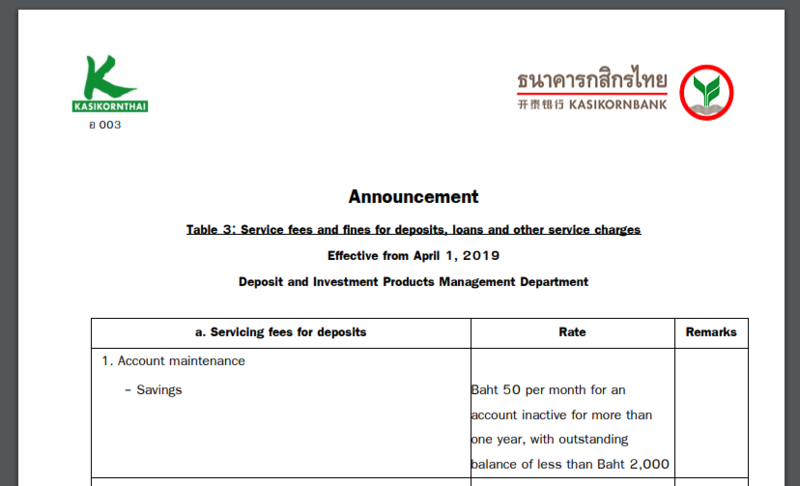 after an account is inactive for a year and has less than 2,000 baht balance they will start deducting 50 baht/month until the balance is zero. I had such an account and later decided to see if I could use it again. They said no problem. correct, I had the same. Just out of interest.... why not ask Kasikorn bank ? But, I wouldn't mention that you went to France with your wife. That could be the deal breaker. Deal breaker? What do you mean? My Thai Wife never worked in Kasikorn Bank and rules can change. Also, even some employee doesn't know the rules. Usually, it takes 10 women to care for my problems every time. OP... when you return, you will simply need to front up at your bank branch and make a transaction there. That said... if you have a card for k bank, try and use it wherever you are, that will tell you if the account is dormant. If a transaction is allowed, sweet... do it again in 9 months.... if not, well, question answered. See below from Kbank website....and once reaching zero balance due to the monthly maintenance fee drawing the balance down to zero then the account will be closed. This is the typical policy at all/most Thai banks. The key is if you know you are not going to be accessing the account for an extended period like over one year....that is, "user-initiated" activity such as a deposit, withdrawal, or transfer...is to leave at least Bt2K in the account. And don't forget to take into account fees such as an annual debit card fee, monthly SMS fee, etc., that may draw down the account to below Bt2K. Those are "bank-initiated" account activity like periodic interest payments which do not count as "user-initiated" activity. Sarcasm doesn't work well unless it's obvious, yours wasn't.